Click on FREE or any of the DVD's to get your FREE DVD, while supplies last ! 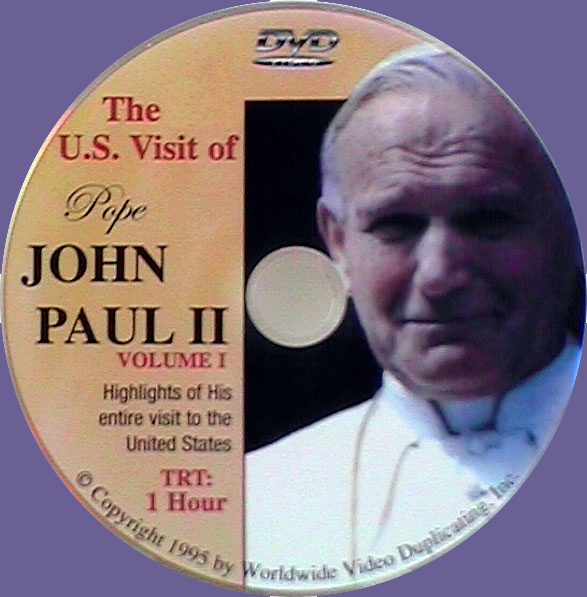 To celebrate the visit of Pope Francis' visit to the US, all DVDS are FREE ! More info Pope - "Do not be Afraid"
More info Enjoy highlights of his entire trip including Masses given in Giants Stadium, Central Park, Oriole Park and in Aqueduct Race Track in Ozone Park. 7. Entire set of 6 DVDs for $39.95 Includes a total of 10 hours of all 6 of the above DVDs with FREE Shipping. we can pay them. We will send you an electronic receipt. All 6 DVDs shipped FREE with this order of all 6 DVDs. More info Own this entire set of all 6 of the DVDs listed above. 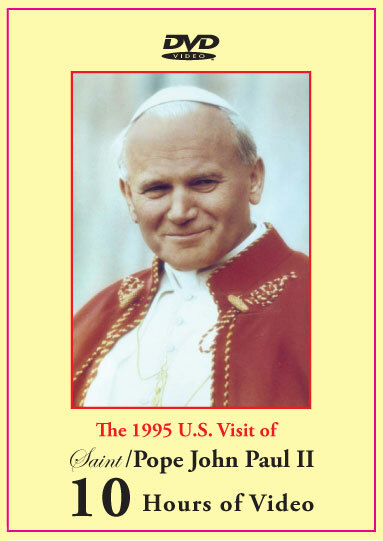 No collector's library should be without this important video documentary of this historic visit to the USA by the world's greatest Pope, who is now a Saint! Use your Credit Card to pay with PayPal - it's fast, Free and Secure!